For nearly three decades, many of the world's largest fossil fuel companies have knowingly worked to deceive the public about the realities and risks of climate change. Their deceptive tactics are now highlighted in this set of seven "deception dossiers"—collections of internal company and trade association documents that have either been leaked to the public, come to light through lawsuits, or been disclosed through Freedom of Information (FOIA) requests. This is a complete list of scientifically controlled, double-blind studies which have conclusively demonstrated the efficacy of homeopathy. It's time all clinical trial results are reported. Thousands of clinical trials have not reported their results; some have not even been registered. Information on what was done and what was found in these trials could be lost forever to doctors and researchers, leading to bad treatment decisions, missed opportunities for good medicine, and trials being repeated. All trials past and present should be registered, and the full methods and the results reported. We call on governments, regulators and research bodies to implement measures to achieve this. Use the form below to contact your Representative and Senators and urge them to make a statement honoring the National Day of Reason. Every year we call upon members of Congress to show their commitment to reason and the separation of church and state by entering a statement into the congressional record honoring the National Day of Reason. We need your help to make sure that as many members of Congress as possible make statements recognizing this year’s National Day of Reason and opposing the National Day of Prayer. Stand up for reason and the separation of church and state by contacting your Representative and Senators and urging them to make a statement honoring the National Day of Reason. In part two, I will attempt to demonstrate that the Duhem-Quine thesis is either false, insofar as it’s interesting, or trivial, insofar as it’s true. In either case, the Duhem-Quine thesis no longer stands as a refutation of Popper’s criterion of falsifiability. My goal here is to defend Popper and his criterion of falsifiability from the Duhem-Quine thesis. In part one, I will examine Popper’s own position and reveal that not only was Popper aware of the Duhem-Quine problem before most of his critics, but he also proposed a methodological solution to it. In part two, I will attempt to demonstrate that the Duhem-Quine thesis is either false, insofar as it’s interesting, or trivial, insofar as it’s true. In either case, the Duhem-Quine thesis no longer stands as a refutation of Popper’s criterion of falsifiability. Based on the evidence, more than 97% of climate experts have concluded that human-caused climate change is happening. What We Know helps us understand the science behind the realities, risks and response to the climate challenge. Yes, this multiverse business is tedious, but since it is becoming mainstream physics, with colloquium talks here at Columbia devoted to it, and the Columbia University Press publishing books about it, seems to me that someone at Columbia should be commenting on these, and I don’t see anyone else doing it. Will try to make this short. Yesterday Matthew Kleban’s talk here was entitled Testing the Multiverse. The only part that actually really was about testing the multiverse was the part describing work on bubble collisions with other universes. This has been heavily advertised in the press, see here, here, here, here, here and many others. Kleban described some of these ideas, but when it came to the experimental testing part, he just briefly acknowledged that all searches for these things have come up empty. The only prospect for the future mentioned was the polarization data to be released later this year by Planck, which would give some new things to look at, but he seemed unenthusiastic that this would realistically lead anywhere. So, as far as the “testing” goes, it has been done and the tests failed. The rest of the talk was about various inflationary models, including Kleban’s work on “unwinding inflation” (see here, here and here). Some of these models do have testable consequences, and many do lead to “eternal inflation”, so in such models you expect to continually produce new inflated universes, although with exactly the same physics. This is being sold as “testing the multiverse”, and string theory is brought in to justify lots of possible different physics in different universes, but this is not a testable part of these scenarios. What’s being advertised is a grandiose picture of the string landscape, laws of physics determined environmentally, etc., etc., but if you actually look at the product that you’re actually buying as “testable”, you don’t get any of the cool stuff. For slides of a somewhat similar recent talk by Kleban, see here. "Multiple logistic regressions were constructed separately to evaluate the role of circumcision in the acquisition of HIV and STI. Conclusions: [circumcision] is not associated with HIV or STI prevention in this U. S. military population." You won’t read about this in the popular write-ups because it doesn’t have a catchy headline, it’s complex, and it’s not work by someone that’s already very famous for other work. But it’s right. Hawking radiation is not in a pure state, and without that pure state, there’s no firewall, and no paradox. “The spectacle of what is called religion, or at any rate organised religion, in India and elsewhere, has filled me with horror and I have frequently condemned it and wished to make a clean sweep of it. Almost always it seemed to stand for blind belief and reaction, dogma and bigotry, superstition, exploitation and the preservation of vested interests. It is science alone that can solve the problems of hunger and poverty, of insanitation and illiteracy, of superstition and deadening custom and tradition, of vast resources running to waste, or a rich country inhabited by starving people... Who indeed could afford to ignore science today? At every turn we have to seek its aid... The future belongs to science and those who make friends with science. 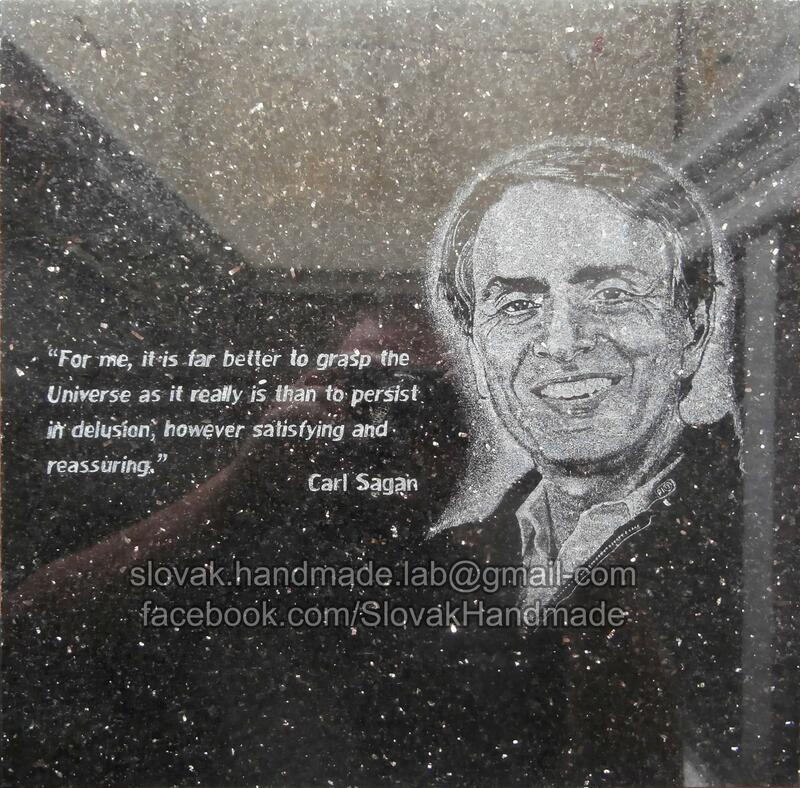 Happy Carl Sagan Day, everyone! Today, researchers working with the Large Underground Xenon (LUX) detector at the Sanford Underground Research Facility in Lead, South Dakota, announced that they see no signs of the lightweight dark matter particles hinted at by other experiments. "It's a significant miss," says Richard Gaitskell, a LUX team member from Brown University. "We should have seen thousands of events and we simply don't see any."